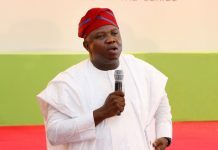 Governor Akinwumi Ambode of Lagos State and former Governor Babatunde Fashola, Minster of Power, Works and Housing, have brought a twist to the political configuration in the State over the decision of the All Progressives Congress, APC, leader and godfather of Lagos politics, Asiwaju Bola Ahmed Tinubu, to stop Ambode from second tenure on the platform of the ruling APC. 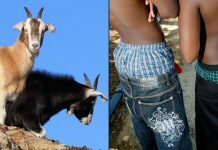 The two emerging political leaders have now turned the heat on the godfather through who they came to political heights. 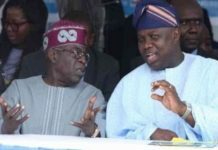 The twisting trend is now generating fresh tension in Lagos APC; causing uncertainties over impending test of powers between Tinubu, Fashola and Ambode in the contest for the 2019 governorship ticket of the APC in Lagos. Asiwaju Bola Ahmed Tinubu had turned his back against Governor Akinwumi Ambode, directing the incumbent governor to step down from contesting the APC governorship ticket for re-election in 2019. Ambode was reportedly threatened with impeachment after buying the APC nomination form by the State lawmakers if doesn’t comply with the directive to step down from the APC governorship race. Tinubu subsequently commenced mobilization of support for another APC governorship aspirant, Babajide Sanwo-Olu, to succeed Ambode in 2019. The political logjam precipitated lobbies, appeals and interventions by prominent APC leaders, including President Muhammadu Buhari, to prevail on Tinubu to reverse his decision and endorse Ambode for 2019. While Tinubu remained adamant on his decision and Sanwo-Olu displaying political extravagance over his riding on the political horse of Tinubu, negotiations and tradeoffs were going on among other power blocs in Lagos State. There was the innuendo that Ambode may get ministerial appointment in 2019 when forced out by Tinubu from second tenure. While the insinuation was sailing, Fashola came out of his shelf in a different game to provide balance of power between Tinubu and Ambode or cause an upset. 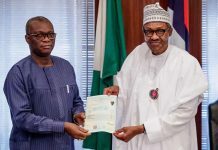 In the surreptitious negotiations, bargaining and tradeoffs, threats and dictatorship, former Governor Babatunde Fashola, Minster of Power, Works and Housing, maintained pacific silence on the 2019 governorship controversies in Lagos State. Fashola’s silence has been disturbing to Tinubu and his camp ever since. However, Fashola’s silence was broken with the emergence of Obafemi Hamza as a governorship aspirant on the platform of the APC. Hamzat was sponsored by Fashola in 2015 but Tinubu insisted on Ambode and Hamzat lost to Ambode in the second position. Now, Amobde and the Fashola group are insisting on participating in the direct primary election of the party. 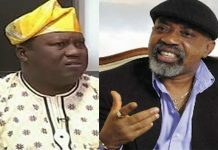 While Tinubu controls the Mandate bloc in Lagos politics, Hamzat belongs to the United Political Movement which constitutes another power bloc in the state, where Fashola is also playing his game. 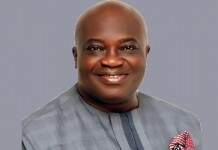 There are insinuations that Ambode, whose supporters are insisting, must contest the primary election, may be considering playing the remote politics of trading off his ticket to Hamzat. This will put Tinubu at the risk of losing his leadership status in Lagos State if he suffers defeat at the APC primary governorship election. 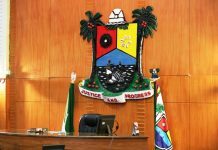 While the 57 council chairmen, 40 lawmakers in the Lagos State House of Assembly and some commissioners were identified to have declared support for Babajide Sanwo-Olu, Tinubu’s candidate, direct primary election could demystify their political influence in the nomination of the governorship candidate in the state. They probably would be more potent in an indirect delegate primary election. 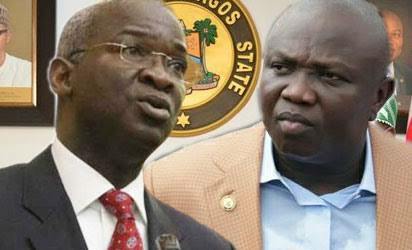 Fashola has built strong support base in Lagos State, and his supporters are also boiling for war with the Tinubu loyalists, some of who have pitched their tents with Ambode, for a showdown to redefine the power structure controlling Lagos politics. 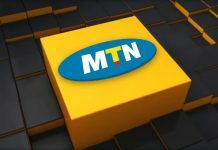 Though, Fashola has not made any agreement with Ambode, his supporters are insisting on sponsoring a candidate from the camp of the former governor in the direct primary election of the APC. Fielding or sponsoring Babajide Sanwo-Olu against Ambode and Hamzat will definitely split the votes and deny Tinubu bulk votes in the direct primary election. More so, when many APC members may even cast protest or solidarity votes for either Ambode or Hamzat. And Ambode rethinking a compact with Fashola and possibility of sacrifice, may demystify the Tinubu dynasty, particularly, when others like Muiz Banire, Hon. 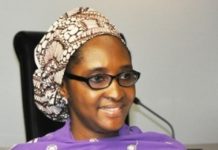 Funmilayo Tejuosho, would also mobilize their supporters against the Tinubu bloc. National Daily investigation revealed that the heat is now on Tinubu, who is now looking for ways of soft landing and getting himself out of the hook. Party sources disclosed to National Daily that Tinubu is considering escape route to avert the Ambode, Fashola battle at the APC direct primary election. This was said to be the reason Tinubu considered to hold consultation meeting with APC Governing Council in Lagos for final decision on Ambode’s endorsement for second tenure. 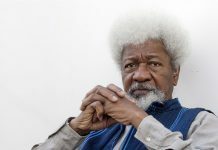 The Governing Council may be used to cover up the shame of, and avert, the threatening imminent defeat at the APC direct primary election by the joint forces of Ambode and Fashola in the decision to stop the incumbent governor from second tenure. The consultation meeting with the Governing Council therefore provides open window for Tinubu to protect his leadership status by using the Council to indirectly endorse Ambode for second term. All the governorship aspirants – Ambode, Hamzat, a former Commissioner for Works and Infrastructure, and Sanwo-Olu, a former Commissioner for Training and Establishment, bought the nomination forms to contest the APC primary election. APC State Chairman, Alhaji Tunde Balogun, was gathered to have declared that the governorship ticket was open to all aspirants.